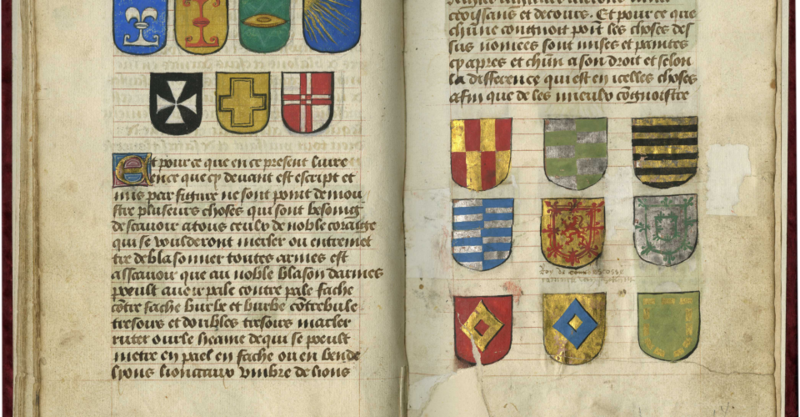 Payson Library Special Collections received 21 original Medieval manuscripts from organization Les Enluminures as part of the pilot program “Manuscripts in the Curriculum.” Les Enluminures is an organization that specializes in manuscripts from the Medieval and Renaissance eras. The company started the pilot program “Manuscripts in the Curriculum” in Jan. 2017 to allow educational institutions to use original Medieval manuscripts in their curricula and for public display. Nykanen said the manuscripts range from the 13th century onward and they cover a broad variety of subject areas. 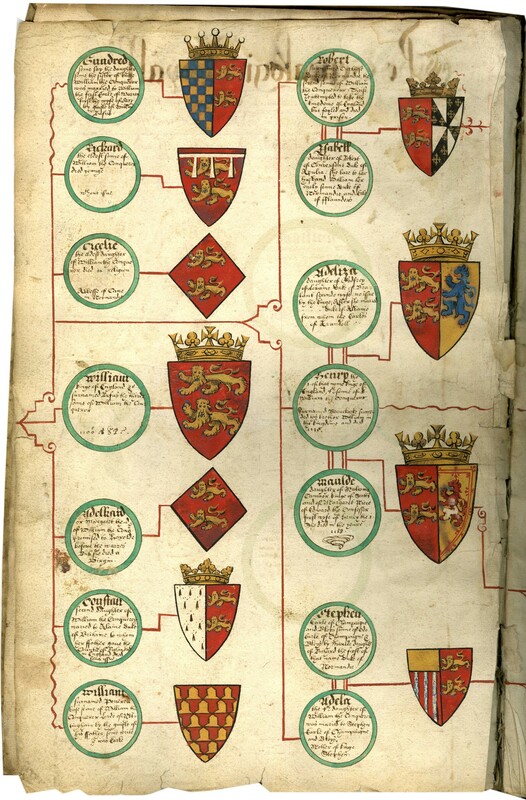 “We have some Medieval manuscripts here in our permanent collection but this loan increased our capacity for sharing those with students because the manuscripts on loan to us cover [a wider] variety of topics,” Nykanen said. Laura Light, manuscript expert from Les Enluminures, gave a lecture titled “People and the Book: Voices of Manuscripts from the Middle Ages” in the Payson Surfboard room Oct. 25. After the lecture, English Professor Jennifer Smith’s students had a poster presentation on the work they did on the manuscripts for their Medieval Arthurian Literature class. Smith said the manuscripts have been especially useful to the students in her class given the topics they are studying. Smith said she thinks this is a great opportunity for students to better understand how material culture contributes to the generation of meaning. Smith said she is very excited about having the manuscripts this semester. Junior English major Brenna Ware said she thinks working with original Medieval manuscripts has significantly enhanced her experience in the class. Ware said she wasn’t going to take Smith’s Medieval Arthurian Literature class until she received an email about the “Manuscripts in the Curriculum” program. 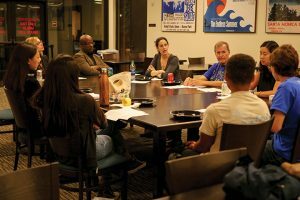 “It kind of opened me up and showed me how many resources Pepperdine has and how much more in-depth you can get with your major,” Ware said. Nykanen said the classes that have come in to Special Collections to work with the manuscripts so far are English, Art History, Religion, French and Music History. After the recent lecture, Payson will continue to plan events around the manuscript-exhibit, Nykanen said. And although Payson will only have the manuscripts until the end of the semester, they will continue to share their Special Collections materials with students throughout the rest of the academic year.